R15 Great view 3rd base side. Great seats and fans in our row! 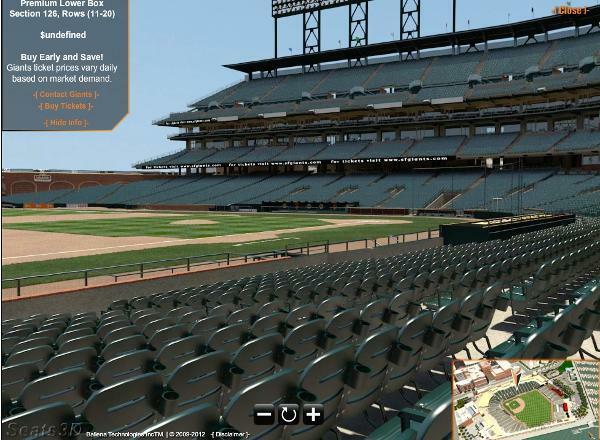 Great Premium Lower Box seats with a angle of every play and of the Giants dugout. Great section for autographs on Sundays. Will give you preference for postseason games. Are these seats in the sun for all/most of the day games? Yes, they are and good people in the rows near us. Thanks! Waiting on your answer in reference to your request for 4-6 games. I have tried to buy four games as you stated. But the site wont let me. What should I do?? Hello - I'm looking to purchase a small pack of tickets (6-8 games) for this season - are any tickets still available? Thank you! Yes, giants require 8 games - hopefully you mix weekend and week day games I have many to choose from. Thanks!